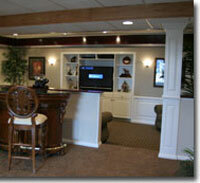 Basement Living Systems USA is an affiliate of Champion Window, Manufacturing and Supply Co.. Per the August 2008 Qualified Remodeler publication, Champion is ranked as the second largest remodeling company in the country. BLS USA provides an excellent opportunity for a franchise to participate in one of the fastest growing home services trend, home remodeling. Due to the soft housing market, more and more homeowners are choosing to make home improvements to meet their family needs and protect their home values. BLS USA was created to facilitate growth with their basement wall system which has experienced success through their four company owned operations. Champion Window, Manufacturing and Supply Co., the parent company, has been consistently ranked as the nation's premier remodeler with seventy affiliates across the country. The same business plan and practices that made Champion successful are the same disciplines interwoven into the BLS USA business plan. Basement Living Systems USA has spent countless hours and exhausted all energy to develop a quality product and concept that mitigates the high risk factors associated with traditionally finished basements using drywall. The Basement Living Systems wall panel system is manufactured in house to assure quality standards are met. BLS USA wall panels will not harbor mold or mildew. The breathable characteristic allows moisture to travel through the panel and does not trap moisture behind the panel causing mold to develop. The Acousti-Soft dual density wall panel reduces sound transference allowing for peace and quiet in contiguous rooms. A typical BLS USA basement can be constructed within two weeks and does not create dust which will movel throughout the home during remodeling. According to numerous publications and periodicals, basement remodeling is a multi billion dollar industry enjoying double digit growth. As the baby boomer market grows, more homeowners are finishing their basements to provide comfortable accommodations for visiting children with grandchildren. At the same time, expanding families are looking to add inexpensive living space so the kids have a place to invite friends whiling leaving the rest of the home undisturbed. Our exclusive territories grant you the rights to Basement Living Systems' process and the ability to expand your business once you have penetrated your initial market area. Our business plan has been tested and proven over the last several years. It will not be necessary for you to pay the high cost of creating a new plan and working out the bugs through a challenging trial and error period. The recipe has been perfected and is ready for skilled minds and hands to put it into action. BLS USA allows you to join a booming industry with an initial investment of $35,000. An additional $200,000 will permit you to launch your business and provide the needed capital necessary to sustain operations until revenues are generated. A four percent royalty fee will be ongoing revenue sharing with the franchisor and another one percent of revenue will be collected to create and fund a dynamic marketing program. Structured classes, seminars, symposiums, manuals, and on-site presence serve as the bedrock of the training and development offered to the franchise. Once the leadership team completes orientation training, a qualified business consultant will participate in the Grand Opening event to help jump start the business. The highly acclaimed marketing agency, The White Good Group, has been commissioned to lead the creative and design initiative for the consumer related marketing materials. The final results will be instrumental for driving high traffic to your showroom, the master website and the phones. The details have been worked out, the tools are in place and the support is ready to assist you in a new and exciting venture. If you want to be your own boss and responsible for your future, the time to act is now.